Home › misc › East Liverpool Wheelers Cross Saturday 31st October. 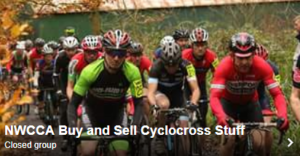 East Liverpool Wheelers Cross Saturday 31st October. Otterspool Park welcomes round 8 of The Lazer North West Cyclo-Cross League. It’s the usual mix of grass and roots. We’ve tried to make the course as wide as we can. The conditions aren’t too bad and the ground is firm. There has been a skate park constructed since last year’s event so we’ve got to avoid that area which leaves us even more compressed. We are intending to have the finish near the old cafe, also the place to sign on. If you can have the correct change it will speed up the signing on process. Please DO NOT park cars on the grass on Otterspool Drive. There is more parking at the end of Mersey Road off Aigburth Road the A561, follow the signs for Aigburth MerseyRail Station; post code L17 6AG, the height restriction bars at the entrance to the car park have gone. It’s only a short walk or ride from there to the course past Otters café and Adventure Centre. There’s a chance to do your Christmas shopping early as Scruffy Dog Creations will be selling and taking orders near the signing on area.